You can’t replace the skin that you’re born with, but that doesn’t mean you can’t try to make it look as youthful as possible! It’s now possible to hold onto your youthful skin longer than ever before with modern, non-invasive laser treatments and injections. We have the latest devices, and use them in some new ways to make sure that you’re always comfortable in your own skin. Only a short distance away, DermMedica is your source for skin care near Prince George. Botox is one of the most popular treatments for clients from the area, but with one consultation, you’re sure to find the perfect treatment for you. Our treatments keep your skin always looking its best. Looking for the Latest Treatments to Preserve and Beautify Your Skin? 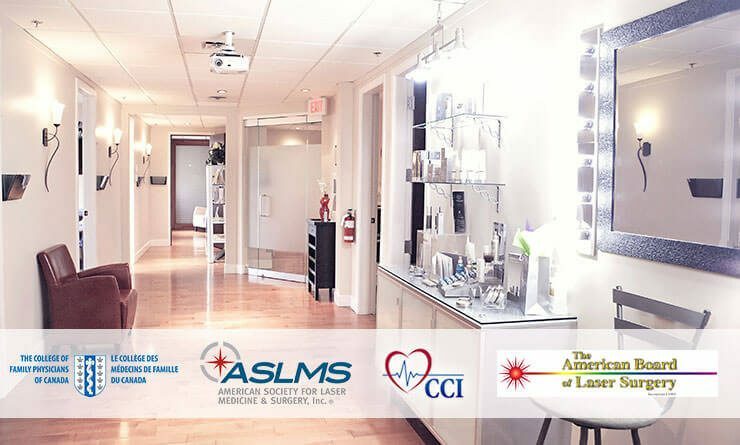 All of the most modern skin care treatments are now available at our clinic, and we proudly serve clients from the surrounding area including Prince George. Laser hair removal is available here, as are fillable injections like Juvederm and fat-fighting treatments like Coolsculpting. Here’s some more information about our services. The signs of aging are perhaps the most frustrating problem that time throws at us. We have a way we want and expect our faces to look, but it’s nearly impossible to hold onto. Youth is as fleeting as ever, but now we have laser treatments available that target the skin’s own restorative systems to provide gentle healing of the affected areas. Areas of the face, and even the other skin around the body may develop rough patches and blotchy spots with age. These spots were once permanent, but they can now be treated effectively with lasers. We look at each problem spot and develop a treatment plan designed to restore a smooth feel and appearance, reduce glaring colors or relieving discomfort. If wrinkles or other problems that point to volume loss have got you down, you may be able to get the help you need from the latest injectable fillers in Prince George. Botox treatments are available and are one of the most effective ways to help reduce fine lines and wrinkles. Restore the smoothness and tightness of skin with either Botox or Juvederm. Many medically-approved treatments are available here to treat skin conditions that make you feel self-conscious or in pain. Many of these were not very treatable in the past, but have become so with the arrival of new skin care technology. Some of the most worrisome skin spots that may appear is skin cancer. Skin cancer can develop on anyone, so there is a high call for treatments for skin cancer in Prince George. DermMedica answers that call only a short drive away with some of the most effective treatments for all kinds of skin spots. It may not be cancer, and if it’s not, we may still be able to remove it effectively. In addition to removing skin cancer, we can also remove brown spots, sun spots, birthmarks and more. We can even remove marks that you put there on purpose. Ask about our tattoo removal services if you’re attempting to remove words, images or colors that don’t belong on your skin anymore. Stubborn fat has always never been easier to target or safer to remove. For patients looking for a solution to stubborn fat, we offer Coolsculpting! It is the most recent innovation in non-invasive liposuction technology. It doesn’t even need to cut the skin to remove fat from the hips and thighs. Instead, it freezes the fat underneath the skin. The fat begins to be absorbed back into the body within a matter of weeks, and the stubborn spot is now taken care of. This is one of our newer treatments and has already proven to be a hit with our clients from Prince George. Coolsculpting begins with a consultation, so contact us if you’re interested in learning more about this revolutionary treatment. You can also have unwanted hair removed from every part of your body with a modern laser treatment. Tired of shaving or waxing? Not to worry, our laser hair removal treatments are available so you never have to worry about that again. Our vein clinic can help with painful or visible veins, and we can also help with acne, Melasma, birthmarks, and other common problems. It may take a drive from Prince George to our skin clinic, but the quality and selection of services make it worth it. Are you ready for the safest, most effective treatments available anywhere near Prince George? Advancements in skincare technology are such that recovery times have decreased and patients are happier than ever with their results. Nearly all of our treatments are non-invasive. They do not require surgery or even cutting. Instead, they use one or a combination of lasers, heat, and injections. In most cases, our treatments do not require any recovery time. In most cases, you will be able to go back to work or go about your day as soon as you have walked out of the clinic. So why wait to get the skin you’ve always dreamed of? We have many different treatments, and we know that you may have more than one need. We respond to the needs of our clients with comprehensive treatment plans that are based on a complete examination and consultation. We may recommend one treatment, or respond to larger areas, like the entire face, with a mixed plan of enhancing treatments. That’s why we’re happy to answer any of your questions about our treatments with no pressure. Make the drive down to our office to learn more about the skincare Prince George clients most often request.